"Savannah Bee Company grew out of my passion for bees, beekeeping and honey. Our specialty honey is the culmination of a 35 year search for the world’s best. Our beauty products deliver real benefits derived from treasured hive ingredients– beeswax, royal jelly, propolis, and honey. 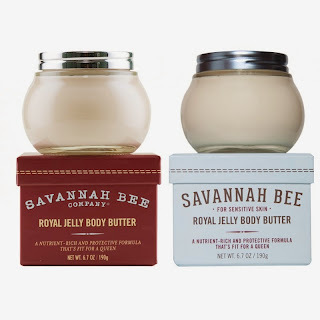 Ask for our products in a store near you or stop by anytime at savannahbee.com." 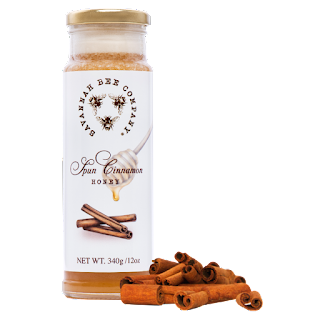 Savannah Bee spins together crystallized honey and aromatic cinnamon, forming a smooth and irresistibly delicious Cinnamon Honey. Stir this honey into coffee, hot toddies or other warm beverages for that extra "Zing!" Spread our Cinnamon Honey on warm toast for an instant "Cinnamon roll" or add to your favorite honey recipes. Our favorite way to enjoy this honey is straight off the spoon. Spun Cinnamon Honey is a delightful and healthy treat! This stuff is amazing! I started by adding it to my tea in the morning which made it oh so delicious. I then added it to my English muffins, my favorite cinnamon raisin bagels and even ate it on toast. I have to admit that this honey was so good, my pregnancy craving overtook me and I began eating it right out of the jar. I eat by the spoonful in the evening instead of my usual chocolate treats. It tastes so creamy and rich and almost seems to melt in your mouth. The cinnamon adds just the right flavor to make it extra special. I'm seriously in love with this honey! The fragrance is just perfect! Both of these Royal Body Butters smelled amazing and felt so nice on my skin. I loved that they hydrated my skin but weren't greasy at all. They absorbed quickly but kept my skin hydrated all day and night. They even hydrated my chronically dry rough elbows. My favorite time to use them is before bed because I love falling asleep to their wonderful scents. 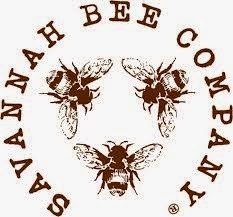 Follow Savannah Bee Company on social media! Great review!! This product sounds amazing! !